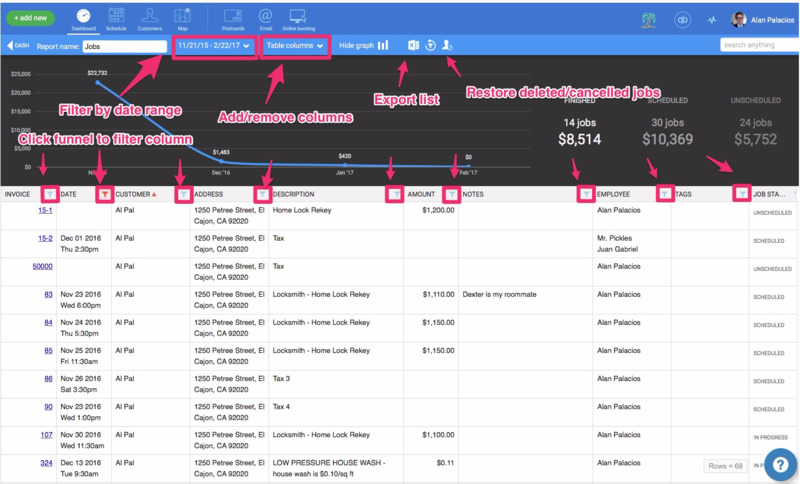 With the new dashboard feature in HouseCall, you can use the filters that best fit your needs. In the light blue bar along the top of the report, you can select the date range that the report will show as well as the columns that will appear. Once the correct date and table columns have been selected, you can filter each of the columns by clicking the blue funnel icon in the top right of the column header. If the funnel is red, it means that a filter is already set on that column. Once you have clicked the funnel and entered the information you'd like to filter by, click the filter button and the report will filter to show the new report boundaries. 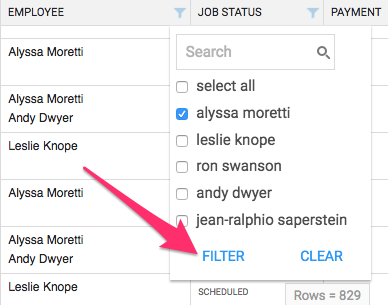 Remember, that you can set multiple filters at once by repeating this process on other columns to create whichever reports you need!